We’ve been sharing lots of savory recipes over the last few weeks here on A Family Feast. 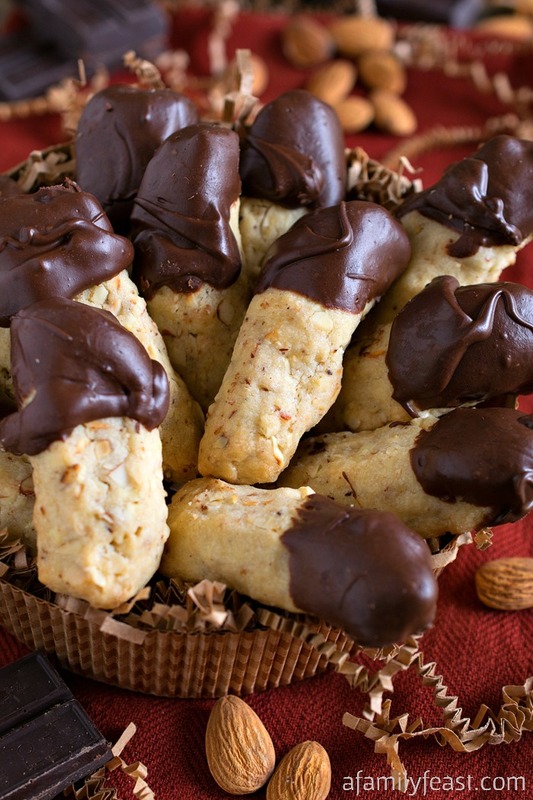 So today, we’re changing things up with a delicious sweet treat – these Chocolate Dipped Almond Fingers. 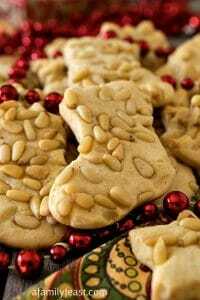 My husband Jack first made these cookies a few months ago for our holiday cookie tray, and I loved them so much – I had to make them again! 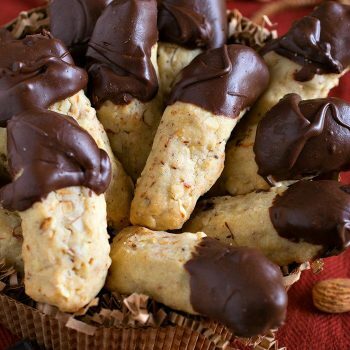 These Chocolate Dipped Almond Fingers are a perfectly sweet, perfectly crumbly almond-studded shortbread cookie that is dipped in melted semi-sweet chocolate once the baked cookies have had a chance to cool. Although our cookie today is shaped into ‘fingers’ – I’ve seen similar recipes where the cookies are shaped into moons, crescents, or circle shapes as well. 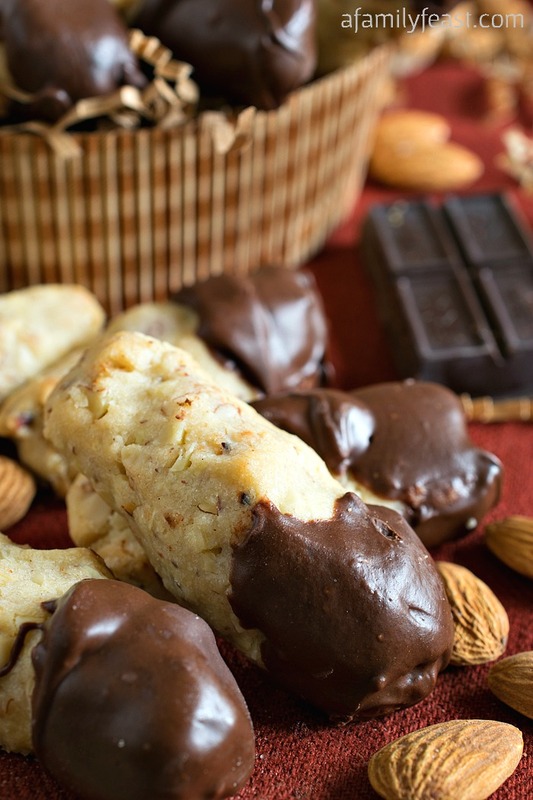 Either way – if you love chocolate and almonds together in a delicious cookie – you’ll love these classic Chocolate Dipped Almond Fingers. In a large dry sauté pan, toast almond slivers over medium heat until lightly browned. Cool to room temperature. In the bowl of a stand mixer, cream butter with sugar until light and fluffy, about 2-3 minutes. Add milk, vanilla and salt and mix to incorporate. Add flour with mixer running on low and mix just until incorporated. Stir in toasted cooled almonds by hand. Divide the dough into three one inch wide logs, about ten inches long. Wrap each log tightly with plastic and refrigerate for up to an hour to firm up the dough. Cut each log into 12 slices then roll each piece into short finger sized pieces and place on parchment lined cookie sheets, 18 per pan. Bake until just slightly golden brown, about 15-20 minutes depending on your oven, turning halfway. Ours took 18 minutes per pan. Remove from oven and slide parchment onto a wire rack to cool completely. They will firm up as they cool. 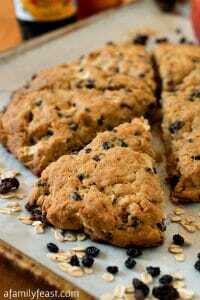 While cookies are cooling place a small sauce pan of water on to boil then turn off burner. Place a bowl over the pan of water and add the chocolate and shortening. Stir with a wooden spoon until completely melted. 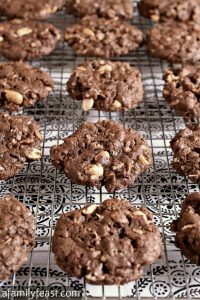 Dip the top and sides of each cookie half way up the cookie then place on a wire rack that is sitting over a piece of parchment paper. Once the chocolate is set, move them to a serving dish. I made these cookies. I didn’t have slivered almonds, so I used whole natural almonds that I lightly pulsed in my food processor. Also I love almond flavored things so I put a dash of vanilla and put about 3/4 tsp. of almond extract. 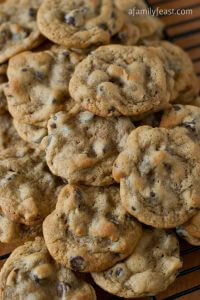 I used Ghiradelli Dark Chocolate Melting Wafers as I prefer dark chocolate. These are small changes. The cookies were very good! Thank you for the recipe! You are very welcome Deb! So glad you enjoyed the recipe!